Our little monsters scored big in the candy department this Halloween- we’re talking pillowcases splitting at the seams! If you are like us, the thought of your kiddo eating all that candy is scarier than any ghost or goblin. To help you out we have rounded up some of our favorite alternative uses for those fun size treats. 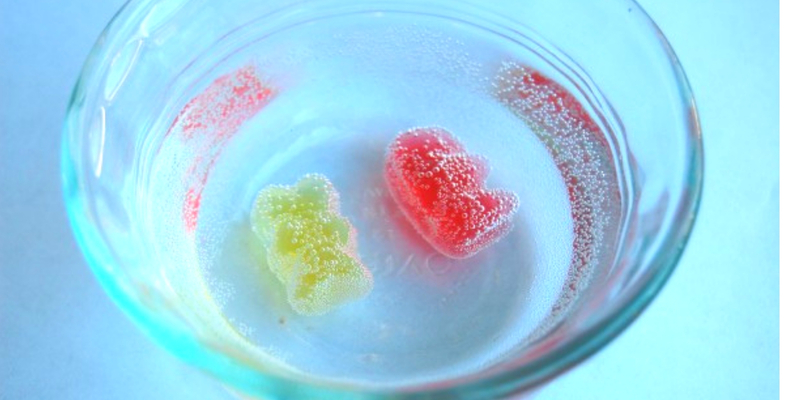 ‍Find out what happens when you soak gummy candy in different liquids. Start with water and record how gummy bears and worms transform after soaking for a few minutes. Then hit the pantry or refrigerator and let you kids hypothesise about how the candies will react to things like vinegar or milk. Use a chart like this to record your findings! Get a jump start on your holiday gift giving while teaching your little ones about the science of candy. 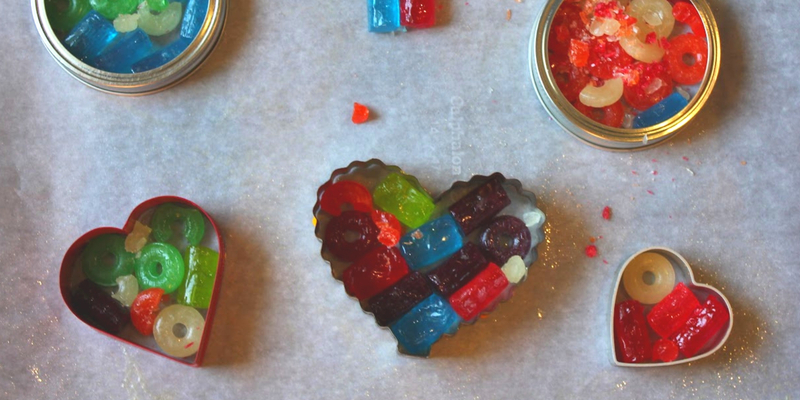 Round up all those hard candies (Lifesavers, lollipops, Jolly Ranchers) and create some stained glass ornaments as gifts for neighbors, friends and grandparents! Check out this chart of candy temperatures from CraftyBaking and have your kids experiment with the different oven temperatures and times needed to turn those crushed candies into festive works of art. Line your cookie sheet with parchment paper and spray everything with non-stick spray. Arrange the cookie cutters on the sheet and fill with a single layer of candy. Preheat oven (hint: 350 is what you are shooting for). Bake for about 5-7 minutes until the candies are melted. Carefully take them out of the oven and allow to cool for about 2 minutes. Use the straw to make a hole at the top of the ornament and then gently pull cutters away from ornament. When they are completely cool, thread a ribbon through the hole and then bask in the beauty of your beautiful ornament. Make your ornaments a little more complex using this recipe from Epicurious. 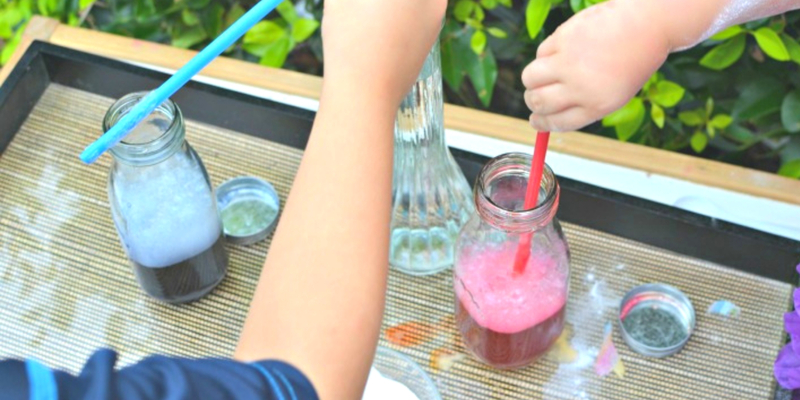 Let your kids go crazy and create potent potions using their colorful halloween candy. Set up an ingredient smorgasboard and relabel the goodies to create a selection that any witch or wizard would envy. With a little imagination, Tootsie Roll Pops become goblin eyes, nerds transform into lizard teeth and twizzlers morph into unicorn hair. Add some water, food coloring and glitter to take your concoctions to the next level. Try your hand at building a candy corn structure! 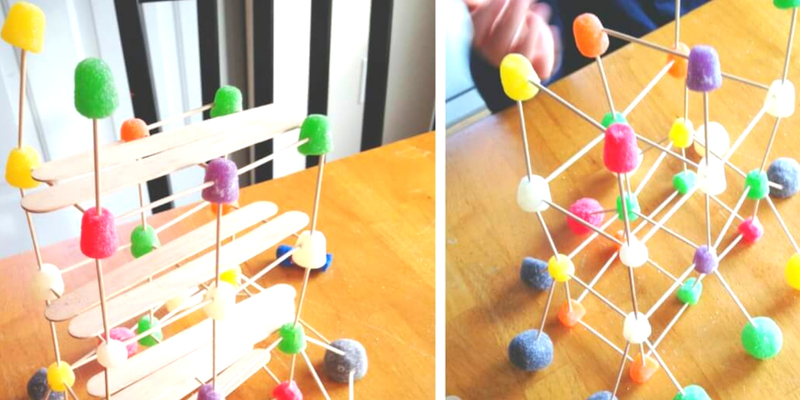 The sticky candy works well to connect toothpicks to build a bridge, house or even your own candy corn metropolis. Check out some tips from Little Bins for Little Hands who did this project using gum drops. 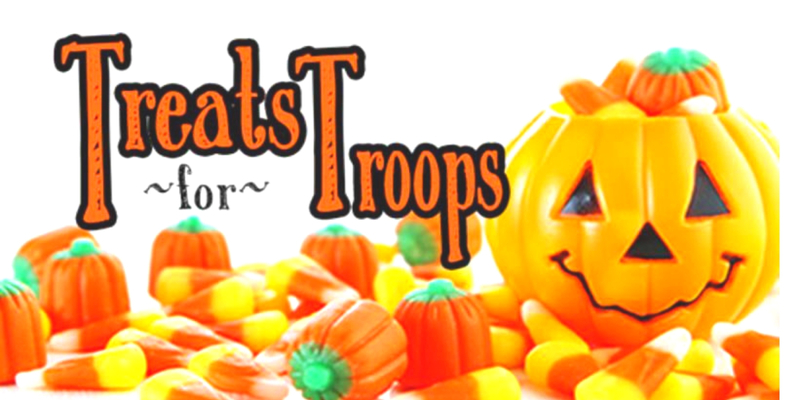 We love the idea of donating your candy to the Troops! Every year, Soldiers' Angels Treats for Troops Program ships your donated candy to deployed service members around the world or distributes it to veterans in VA Hospitals across the country for a sweet treat. Their goal this year is to collect 17,000 lbs. of candy! Click here and search by your zip code to find a location near you. Other great options for donation include your local food pantry, homeless shelter, or nursing home. Give them a call in advance to see if they accept Halloween candy.